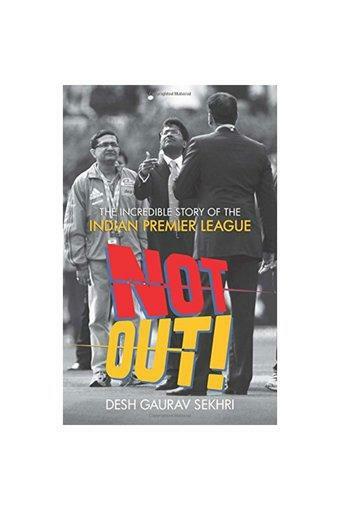 Chronicling the Indian Premier League (IPL), India?s first sports league and the most controversial ever, this book explores the intricacies of the business and the acceptability of the IPL to take a closer look at the various scams that have plagued it. It is a blow-by-blow description of the highs, lows, and future of the IPL that has, possibly, redefined the way the rest of the world perceives India. It analyses what the league got right and what it has got wrong and why. And, what the IPL and its owner/promoter?the Board of Control for Cricket in India (BCCI)?could have done to sell the sport and build on the popularity of cricket in India, but didn?t. Analysing the spot-fixing scandal, the conflict of interest controversy, the specific issues concerning the teams, the complicated interplay between the BCCI and the IPL, this thought-provoking work brings to light many untold stories of cricket in India. Desh Gaurav Sekhri is one of the only sports attorneys in India. He heads the sports law practice at J. Sagar Associates, a leading national bulge-bracket law firm, a position he has held since 2009. A junior national tennis singles finalist in India, his experience as an international-level athlete growing up in India and Canada has added to his overall domain knowledge and expertise. He is a regular columnist with Business Standard, Indian Express and Economic Times, writing primarily on the business of sports and sports law topics. He is involved with policy matters and is a core member of the sports task force for the Delhi government which recently drafted the national capital?s first-ever sports policy. He has also done extensive policy work for leading Indian business chambers on a variety of industry-related issues in sports. Sekhri holds a BA (Hon. ) degree in Economics from St. Stephen?s College, Delhi, where he captained the college and university tennis team. Later, he went to do a BA (with honours) from the University of Iowa on a tennis scholarship. He completed his Juris Doctorate in sports and corporate law from the William and Mary Law School, Virginia. He is admitted to the bar in India and in the state of New York. Sekhri lives in Delhi with his wife Madhavi and daughter Sanvi Ariya.